In 1971, a Central Michigan University sophomore, Craig Slaight, was home from school in Cedar Springs for the summer. He called up a few friends to ask if they thought a small community like Cedar Springs might support some sort of summer theater. The Kent Theatre had been converted from a live theater to a movie house, but Craig got permission from the owners to put on a stage show. He borrowed $75 from his parents, adapted a script from Edgar Lee Masters’ “Spoon River Anthology” and the Kent Theatre had its first live show since the 1920’s. For that first show, the “acting area” was just the small apron in front of the movie screen and the dressing rooms were the coal bin and the area behind the furnace. The props and costumes were homemade and the benches borrowed from a local furniture store, but Cedar Springs Community Theater was born in a two night run on August 17 and 18, 1971. 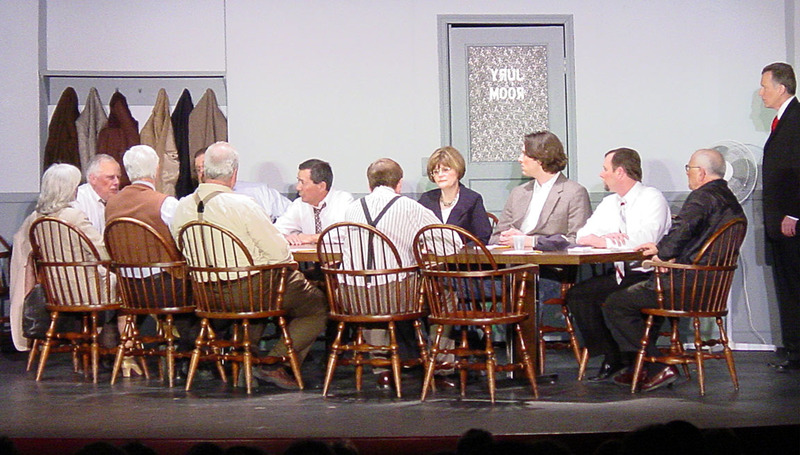 Early in 1972, a core group of theater advocates met at the Kent Theatre and drew up the first Constitution and By-laws, chose the name Cedar Springs Community Players, and elected Craig Slaight as the first President. In 1976, with over 40 members, The Players incorporated as a non-profit group. The Cedar Springs Community Players has continued to present live theater to the local community ever since. Hundreds of volunteers have acted, built sets, applied makeup, and taken tickets. Several local families can lay claim to three generations of Players membership. And we look forward to continuing this fine tradition for years to come. Come join us.